I planned to write up my adventures for Team Honk on Monday, resume normal blogging in the week and write about some more outdoor fun for Country Kids. However, I woke up on Monday with conjunctivitus and aside from playgroup and school runs had to spend all my day with my eyes closed in a dark room resulting in me getting a little bit behind! We are already on Friday so Team Honk meets Country Kids! As planned, on Sunday 19th January, Rebecca from Mum of 3 Boys passed the Baton to me at Scolton Manor, Haverfordwest. We ran around the Dragon Mini Beast Trail stopping to do all the exercise activites in fancy dress. They are all based on facts about Mini beasts so it is quite educational too. The activity that I find most difficult is balancing- I’ve just never been very good! In the above photo Danny is reluctantly helping me across the beam as I was too scared to go across on my own! He couldn’t wait until his turn and as they all walk across far higher beams at Gymnastics, they can’t understand why I can’t walk across a low one…I don’t understand either to be honest! I also find the activity boards make good “stop markers” to keep us all together as a family. My kids love running on ahead, but know to stop at each point. Here we are running the Snail Trail Spiral. Here we all are in the Owl House. We often shelter in here from the rain but thankfully it stayed dry for our Team Honk Relay. At this point we had to play Hide and Seek. A quick “Ibble Obble Black Bobble” and it was decided that I was “It.” I had to count to 100 while the kids found their hiding place. A brilliant tip from my friend, Emma – she gave them a limit of thirty steps to walk – as you don’t want little ones getting lost in the vast woods there. Of course, there were also other adults keeping an eye on them too. All kids were safely found! We all made a great team effort to help each other complete the route. The climbing frame was fun! We found our way through the maze. We climbed over the climbing frame (yes, there was Sun!). We had a kick around with the ball. Rebecca’s youngest son is a budding photographer- I love this photo he took of Danny. We said our goodbyes to Rebecca and family. It was so lovely to meet them and a lovely part of Team Honk is meeting all the other Bloggers involved. We then walked up to the Manor House. This will be open to the public again in March. We had a look in the pond. Lovely reflections of the boys. I love their happy faces in the photo above! On the way back we leap – frogged over the posts. If you have noticed my girls are not in the above photos – they were having fun at a friend of the family’s birthday party which unfortunately clashed with Team Honk. I drove home to pick them up and the heavens opened. I got soaked right through just putting them in the car. They had lots of fun and bought home a goody bag for Danny. We were so lucky that it stayed nice at Scolton Manor for us! Today I went around the local schools with the Team Honk Baton. Tomorrow, as long as weather conditions are safe enough then we are climbing the Preseli Mountains with it and on Sunday I am meeting Debbie from Johnson Babies to pass the baton on at Margam Park and do a fun run there too! 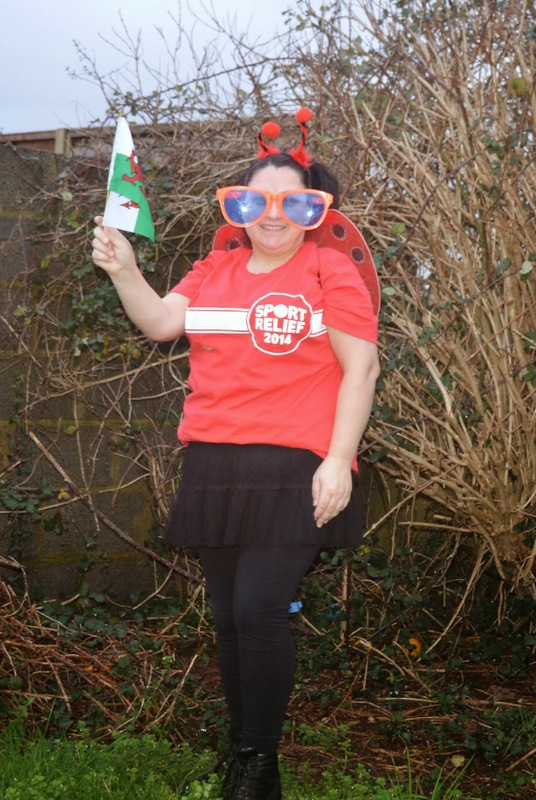 There is so much effort going on across Wales and the UK for Team Honk so please visit my team’s sponsor page below (Team Wales). Good luck to all the other Team Honkers out there! Have fun and keep Honking! what a fabulous day and such a worthy cause! go teamhonk! I am so pleased you joined Country Kids with Team Honk, infact I should link my own Team Honk post too! Lovely to see you all in fancy dress on the adventure trail and looks like the kids had a wonderful time whilst all doing your bit for an amazing blogging sport relief event. Go Team Honk and hope the eyes are now all good. Wow! You all had quite an adventure for Team Honk! Your photos are beautiful and what wonderful memories you are creating with your kids. Well done you guys for joining Team Honk! 🙂 and especially since you all look like you've had so much fun! #CountryKids. Go Team Honk! Looks like you all had a fab day and all for a really worthy cause! go go go team honk! well done you for getting involved in such a great cause!